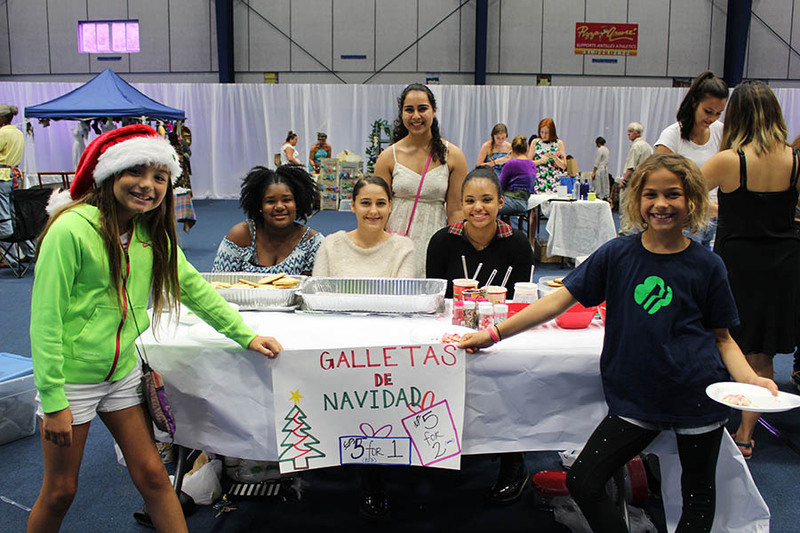 Antilles students have the opportunity to participate in a range of activities both on and off the campus. Sponsored through the school, students are able to join traditional sports teams (elementary, junior varsity and varsity) and may also choose from a list of extra-curricular activities taught on-campus by a range of community instructors. Non-Antilles students are also able to sign-up for the After School Activities. Throughout the year, our Hurricanes are also active in a variety of community-based clubs, sports and organizations that also give them a chance to team up with students across the St. Thomas-St. John District. 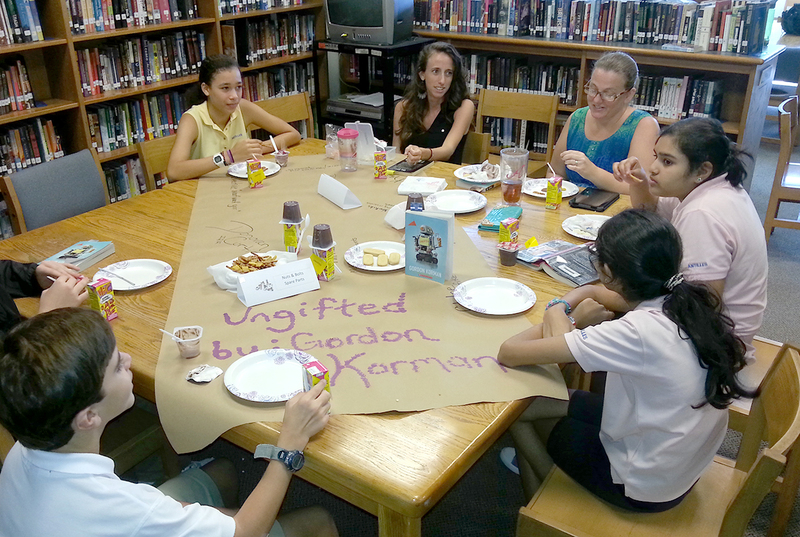 Open to all middle and upper school students (two separate clubs), the Cane Book Clubs fosters the love of literature, as well as a positive attitude toward reading and a fun purpose for getting together. In addition to reading novels selected by the club, members are encouraged to participate in reading extensively in a wide variety of genre or intensively in their favorite genre. Members participate in lunchtime meetings where they are invited to discuss their questions, ideas and reflections about the current novel. Reading selections expose students to literature from multiple perspectives, while discussions lead to student inquiry and critical thinking. Drama Club is open to grades 6-12 for students who enjoy all aspects of theatre. The club meets twice a month and meetings are run by International Thespian Members. Meetings consist of improvisation games, technical theatre, and ensemble work. Originally started in 1990 with only five Middle and Upper School students, Antilles’ Expressions Chorale is the brainchild of longtime music teacher Verna Araujo and one of the most celebrated school choirs in the St. Thomas-St. John District. In its early years, the program catered to Middle and Upper School students, but was re-created by Araujo in 2016 for the Lower School. In its early years, Expressions performed at both school and community concerts, and most recently, added the territory’s 100th Transfer Day Centennial celebrations to its repertoire. The choir’s sound encompasses everything from gospel to traditional Caribbean folk. The Green Team is a whole school organization that promotes environmental awareness and solutions. They participate in and focus on six different areas; recycling, campus beautification, island sports field clean-ups, composting, farmers planting initiative and Earth Day. Aluminum cans are collected throughout the school and the Upper School students take them to VIWMA, Virgin Islands Waste Management for recycling. Grades four through twelve participate in a campus wide program to help make the campus litter free, and the older students mentor the younger members in the group. Several times a year, the fourth and fifth graders travel to different sports fields around the island in order to make them litter free. 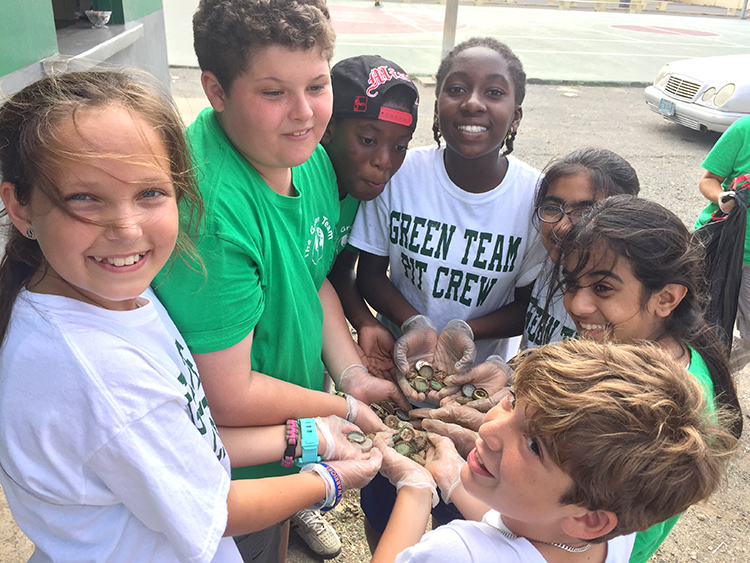 Everyday Green Team members collect the fruit and vegetable scraps from the student lunches and compost them to create fertile soil for the school's banana patch. The entire school collects containers for the local farmers to reuse to grow their seedlings. In celebration of Earth Day, the Green Team members plant enough seedlings to send home a local tree with every student to plant. 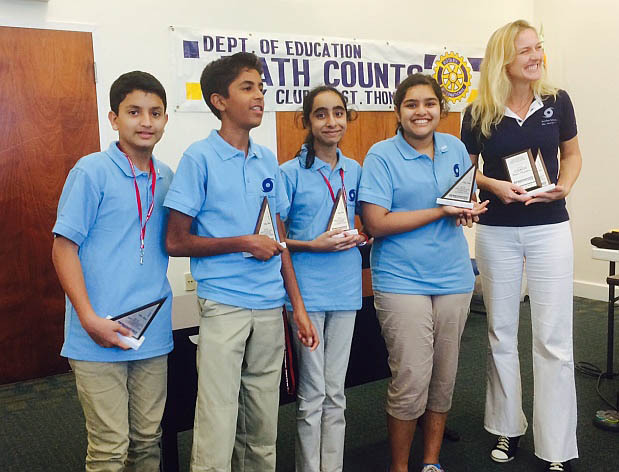 Interact is Rotary International's service club for young people. Antilles School Interact Club meets bi-monthly and is a self-governing and self-supporting student organization, sponsored by St. Thomas Rotary II. Students, grades 8-12, join Interact Club where they make friends, work to improve our local and the greater world community, and develop their leadership skills. 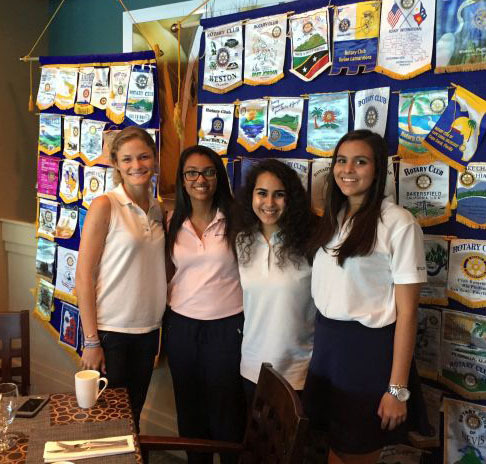 Each year, Interact Club completes at least two community service projects, one of which fosters international understanding and goodwill. Antilles School Interact Club has supported Feed America, Clean Water Projects in Africa and Krochet Kids International, as well as the St. Thomas Family Resource Center and Project Prom VI. Open to students in grades 9-12, the International Thespian Honor Society’s mission is to honor student achievement in the theatre arts, as it endeavors to support and improve theatre programs worldwide. At the local level, the Antilles International Thespian Society supports and advances the school theatre programs. Being inducted into a thespian society is both an honor and a responsibility. Students earn an invitation to be inducted into the troupe demonstrating their ongoing dedication to the theatre community through participation in show productions, theatre-based service projects, and other endeavors that have supported the art of performing. After induction, thespians are expected to continue to work within the theatre community and support their school. Antilles School Chapter of Junior State of America (JSA) is a student-run organization that promotes critical reasoning and debate skills and being informed on societal and political issues. JSA participation prepares high school students for life-long involvement and responsible leadership in a democratic society. JSA meets weekly during the school day. The Lower School Student Council is comprised of four elected officers from the fifth grade and two class representatives from each of the six homerooms, third through fifth grades. The officers are elected by all the third through fifth grade students after they have listened to their campaign speeches, during the fifth grade's "Grand Convention". The class representatives are elected by their peers from their own homeroom. 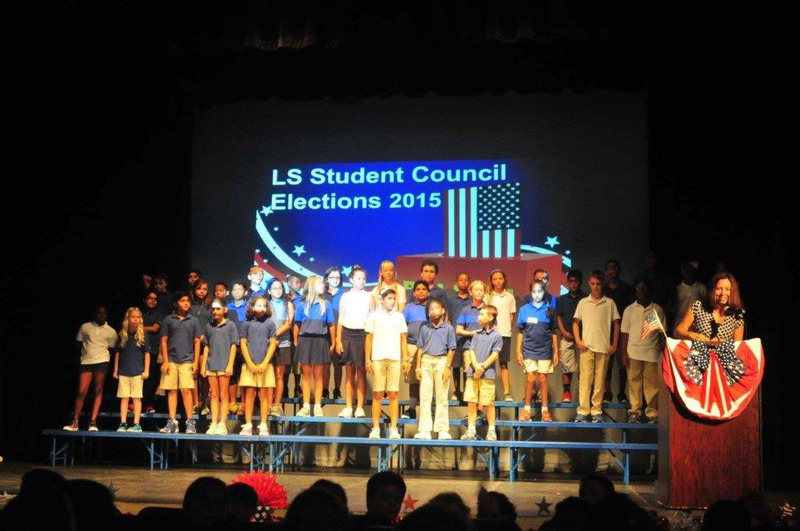 The purpose of the Lower School Student Council is to generate positive and creative ideas for the betterment of the Lower School and its students, along with raising funds to help nonprofit organizations in the community and the world. Their initiatives include spearheading the UNICEF drive, toy drive, and Spirit Days; collaborating with the Middle and Upper School on a Thanksgiving food drive; and making suggestions for Lower School improvements. Makerspace is open to middle and upper school students who are interested in hands-on opportunities to explore, create, compose, and construct projects, digitally and in 3D. The club members can explore their own interests in a space for these makers to work, individually or collaboratively, on multidisciplinary projects associated with computer science, computer programming, engineering, and graphic design. Students learn to use tools and materials, including Makey Makey and Stratch software, to design, engineer and fabricate innovative projects and to become digital creators. Middle school students elect their peers to represent them in this student leadership organization. The organization has four officers elected by a majority vote of middle school students in a general election scheduled early each fall, as well as two representatives from each grade selected in grade-level elections. 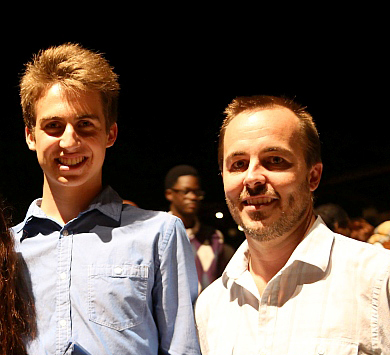 The primary role of MSSC is to enhance student life on campus. Members listen to the wants/needs of fellow students and, whenever possible, take care of issues themselves or relay this information to the proper people. MSSC plans middle school student activities (such as Spirit Week to help create a sense of oneness or team as well as to raise the morale of the student body and faculty) and fundraising events (such as their annual Giving Tree) with donations made to charities selected by students. Participation is central to the organization's success, and it advances students' leadership capacity and decision-making skills. N ational Junior Honor Society is an organization that recognizes and encourages academic achievement along with other characteristics essential to a democratic society. Antilles NJHS Chapter recognizes middle level students who have distinguished themselves by achieving excellence in scholarship and who have demonstrated outstanding accomplishments in leadership, service, citizenship, and character. Members are expected to maintain the scholarship requirements under which they were inducted. NJHS members collaborate on meaningful service projects and enjoy serving the school in different ways, as well. Service activities include sponsoring middle school dances, an annual Thanksgiving Drive (in which they organize participation from the entire school), collecting gifts for needy children during the holidays, cleaning litter from the campus and maintaining the lost and found flea market, and raising funds for charitable organizations. A ntilles School Chapter of the National Honor Society (NHS) bestows membership to those students who exemplify the organization's four pillars: leadership, service, scholarship, and character. Members are expected to maintain the scholarly requirements under which they were inducted. 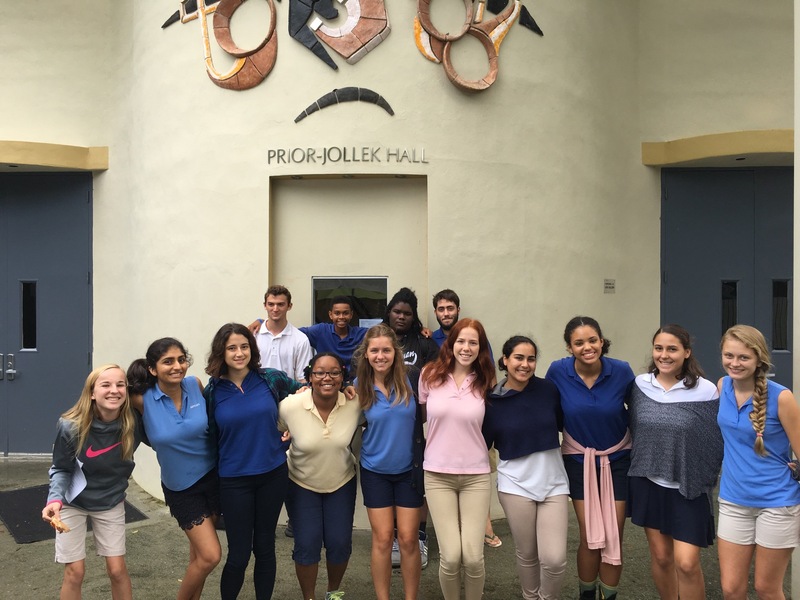 The chapter members work in affiliation with partner organizations on St. Thomas to allow for meaningful service projects (such as their annual Thanksgiving Drive in which the entire school participates) and enjoy serving the school in different ways as well. Recent service projects found members tutoring younger students, helping with the annual school gala, tutoring and mentoring foster children at Nana Baby Home, and performing numerous beach clean-ups. Meetings are held on a bi-monthly basis to keep students abreast of their leadership roles on our campus and in the community. Antilles School Spanish Club welcomes students, grades 8-12, who are passionate about the Spanish language and seek to learn more about Hispanic cultures around the world. This forum is for students interested in broadening their vision and experiences of the many facets of Hispanic cultures, as well as promoting activities related to the language and its countless cultural expressions. Spanish Club hosts a variety of activities and is strongly committed to service to others. Highlights include weekly meetings, fundraisers, activities to celebrate Hispanic Heritage Month, and visits from guest speakers. 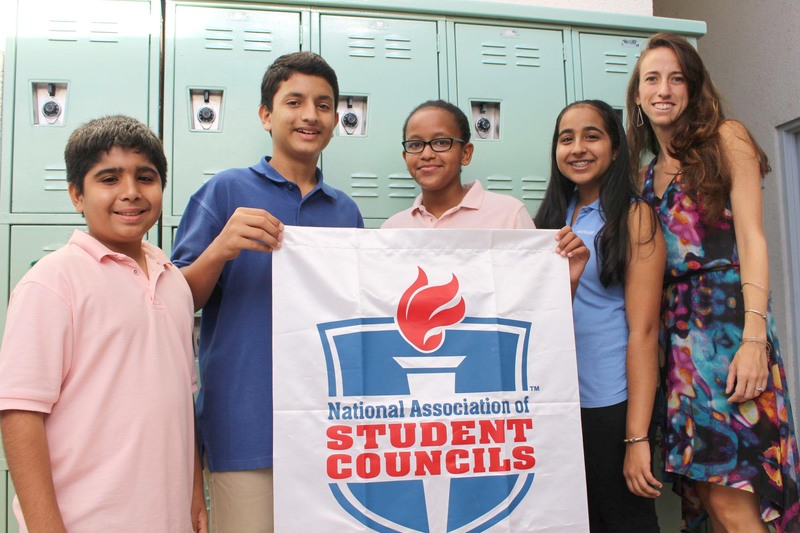 Upper School Student Council, a prominent student government organization, is composed of four students elected by their upper school peers each spring, as well as the Class Officers from each grade 9 – 12, President and Secretary. 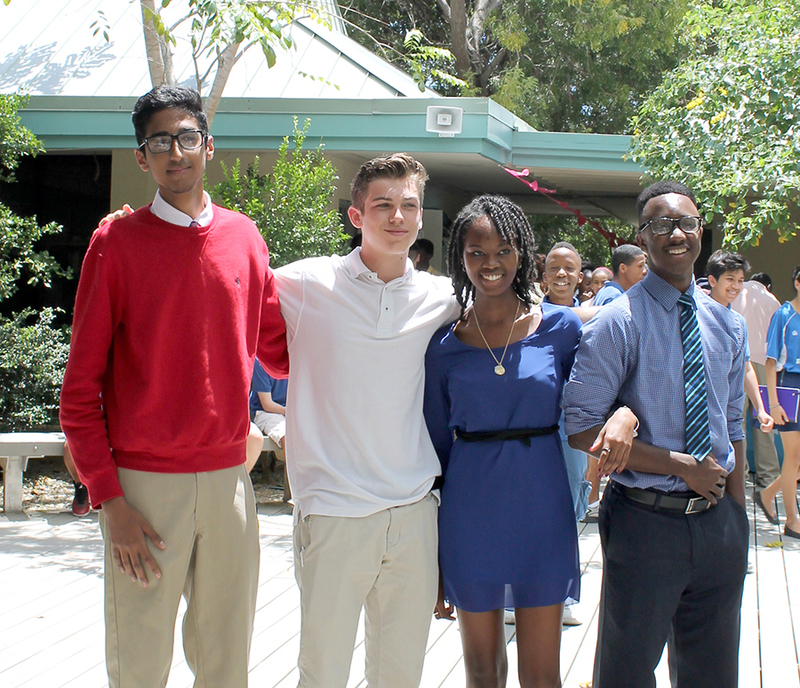 The council members serve as the ears and voice of their peers in the Upper School. Meeting weekly, council responsibilities include promoting leadership skills, developing positive attitudes, improving school morale and general welfare, conducting fundraising events for the community, planning and leading Upper School Morning Meetings, and planning and organizing special events. Being a member of USSC is both an honor and a challenge, as this group of student models servant leadership throughout the school year. Participating in several local to national level competitions, Antilles students have many opportunities each year to distinguish themselves in the academic arena. In many instances, these competitions also give the students a chance to compete with peers throughout the Caribbean region or across the United States. We are proud of their accomplishments! A ntilles Geography Bee is a competitive event conducted in association with the National Geography Bee and sponsored by National Geographic. Students, grades 4-8, are encouraged to participate in this competitive academic activity, which tests students' knowledge on a wide variety of geography topics. National Geographic provides preliminary questions for Class Bees and additional questions for the School Bee. The winner of the School Bee takes a written test that is graded by National Geographic. 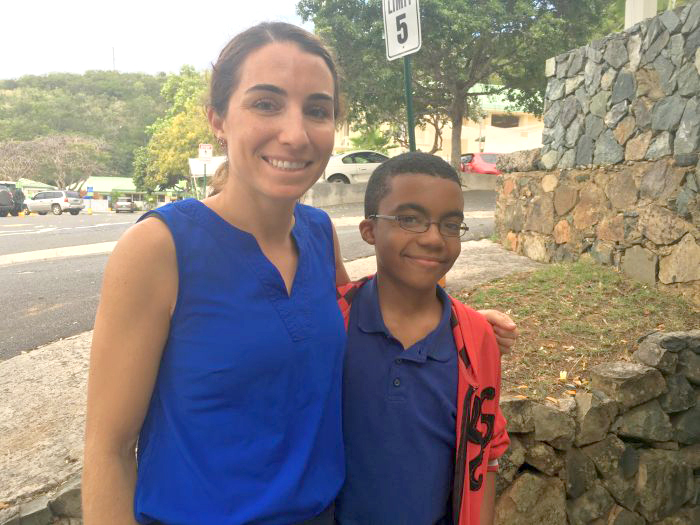 The top ten scoring contestants from Puerto Rico and the Virgin Islands take an additional written test, and the top student from this round advances to the national competition held in Washington, DC in May. MathCOUNTS is a national organization that sponsors coaching and competitive mathematics and promotes math achievement in middle school students through engaging, hands-on activities. 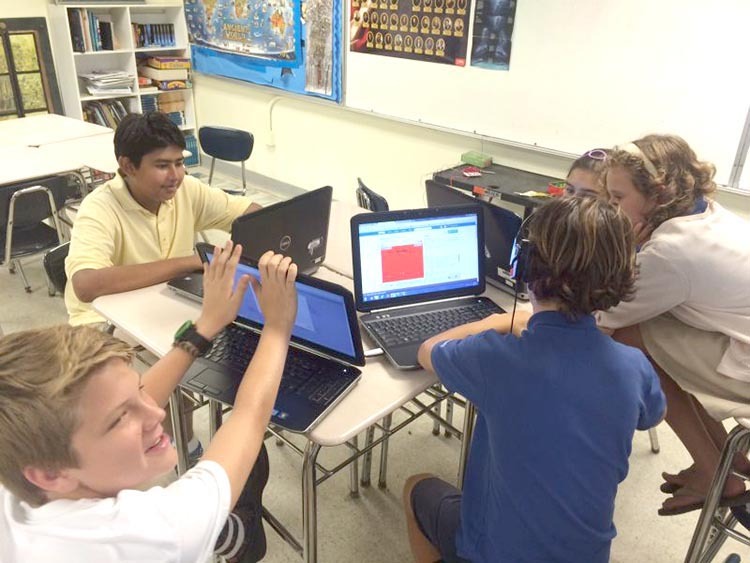 Antilles School MathCOUNTS Club meets multiple times weekly, and while fourth and fifth grade students participate in the club, only sixth, seventh and eighth graders may be selected to participate in the St. Thomas-St. John MathCounts Chapter-level competition held each spring. The winners of this event advance to the state (territory) level of competition one month later. Finally, the top four mathletes from this competition comprise the US Virgin Islands National Team and represent their territory at the national competition held each year in May. The competition emphasizes problem solving skills within traditional middle-school mathematics topics and includes such topics as geometry, algebra, and combinatorics. Moot Court Description: Moot Court involves senior classmen from St. Thomas, St. John, and St. Croix in competition for educational scholarships. Student-participants self-select to study federal case law in order to prepare and deliver oral arguments on a current legal issue, which they deliver in competition before a Virgin Island's Superior Court three-judge panel. Participants spend time perfecting the legal, analytical, research, and writing skills that practicing attorneys must have, as students become more comfortable with public speaking, particularly formulating arguments, and expressing themselves in front of others. A ntilles School Quiz Bowl Team begins practicing in September in order to prepare for the AFT sponsored territorial competition that is held in the spring. Open to all high school students, Quiz Bowl is a competitive team activity composed of five members and two alternates. 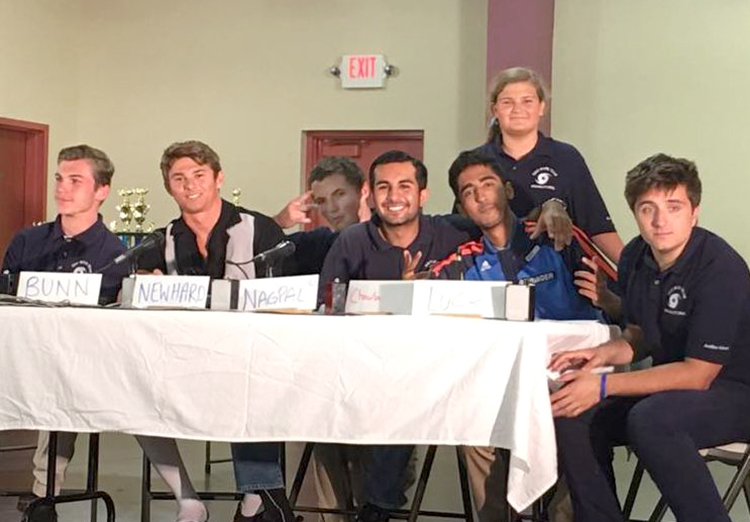 During the territorial competition, two teams representing Virgin Island high schools vie to answer questions put forth by a moderator on any topic in the fields of science, math, history, literature or the arts. Once the moderator poses a question, a team member must activate her/his buzzer first in order to have the opportunity to answer. The winner of this competition will then compete at one of three national competitions held by the company Questions Unlimited at different cities in the United States. Teams at this competition are composed of four team members and two alternates. Science Bowl is a competitive team activity open to all high school students, and involves two teams at a time answering science and math questions put forth by a moderator. A buzzer system is used, and team members must activate their buzzer first in order to have the opportunity to answer the question. Antilles Science Bowl Team begins practicing in the fall in order to prepare for the territorial competition that is held in the winter and sponsored by Virgin Islands Department of Education. Teams at this competition are composed of four team members and two alternates. 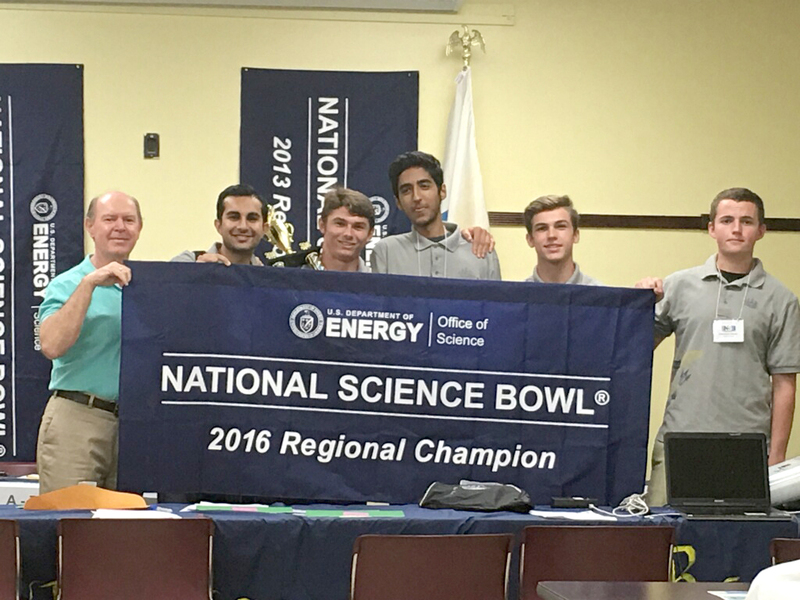 The winner of this competition advances to compete at the national competition in Washington D.C. sponsored by the U.S. Department of Energy. E ach fall, Antilles students in grades 4-8 participate in classroom spelling bees sponsored by the E. W. Scripps Company, and in doing so, improve their spelling, increase their vocabularies, learn new concepts, and develop correct English usage. Winners of the classroom bees participate in the school competition held each December, and the winner of the school competition moves on to compete in the territorial spelling bee.